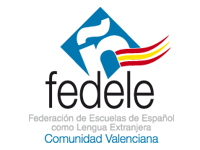 PROYECTO ESPAÑOL is a member of the Spanish Federation of Schools of Spanish for Foreigners (FEDELE), that has a federative structure and is formed by six asssociations of Spanish for foreigners schools. Each of them has its own corporate body but with a common ethic code, quality level and rules. That is why being a memebr od FEDELE is a quality guarantee. You can check our quality agreement. PROYECTO ESPAÑOL is also part of the Association of schools of Spanish in Andalucia since its beginning. This means we are included in the quality letter all the members share, and also that we guarantee highly proved quality. You can read our guarantee agreement.